The roll holder were introduced by Kodak since 1886 and placed in 1898 as retro-fitting operation to try to ensure buyers of cameras produced by the company in previous years the opportunity to work with the new films in roll; from Kodak catalogue (1886), the system could be applied to any camera to replace the original glass film holder or portalastra. The Kodak roll holders contain negative material wound on spool can guarantee a r ange up to 24 poses and were produced in several versions to accommodate the large number of cameras (and image formats) in use at the time. 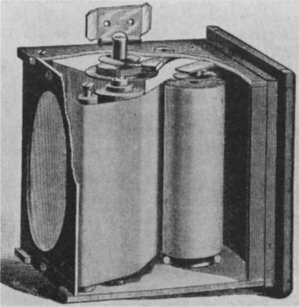 The containment structure was made of mahogany and contained within it the voltage adjustment mechanisms (2 positions), advancement, frantura, as well as automatic spools and removable which contained spirals/o the negative material. A particular type of sensitive material that was used in the early days was the paper negative, which needed a final treatment, after the classic, transparent development through the application of "Translucine". In this case, the price range ranged from 12 to 85 USD, with all models larger than 11 x 14 that were produced only on request. Over the years, with the introduction of new sensitive materials and new configurations by kodak, the Roll Holders have retained their function and guaranteed to operate cameras once discarded their original formats. The negative paper or film were designed and sold to be inserted with ease inside the holders (in this regard were also sold fuses replacement receivers in order to increase the autonomy) and ensured 24 poses for all sizes up to 11 x 14 or 12 poses for higher sizes. Single roll prices ranged from 0.75 to 20 USD and could be supplied, on request, rollers that can hold up to 36 or 48 poses. In fact, an extremely flexible system. Exist and are still operating several cameras ready for origin or after their purchase to use the roll holders; the mechanisms of the second or subsequent version, which contained several brass inserts and/or iron, are certainly more resilient than wood of the earliest versions, in particular as regards the regularity and constancy of the advances and the correct count of the poses. For smaller sizes is not particularly challenging the rehabilitation using 120 roll film, even if the image format is obviously larger than the whole width of the roll. 106 format, 107 format, 108 format, 109 format, 110 format, 112 format, 113 format, 114 format, film, hystory, Kodak, retrofit, Roll Holders. Bookmark.